Welcome to Finals Week! The week (or more) when the library is filled to capacity, students are running on ramen and coffee, and it is not uncommon to see your friends in the same outfits multiple days in a row. As stressful of a time as this is, you can do your best to be prepared by bringing this list of supplies to the library. Layers. It will be hot. Then cold. Then hot again. Do yourself a favor and bring layers. Water. As great as coffee is for staying awake, I recommend having water nearby to stay hydrated and to help if you have a tickle in your throat or get a coughing attack; the library is full and people may not be understanding if you are sitting there hacking away. Extra paper and writing utensils. I find it helpful to write what I'm studying over and over and when I run out of paper or ink there is nothing more frustrating. Tissues. For yourself, for your friends, for strangers. Someone will end up being very grateful and thankful for you. Headphones. As much as we all wish people respected the quiet sanctuary that the library is supposed to be, they don't. Bring headphones to drown out the noisy table that is sure to be right next to you. Power cords. You will be in the library longer than you think and everything is going to run out of battery. Just accept it now. A good attitude. Yes studying for finals can be a drag, but it is a necessary evil so you might as well embrace it. 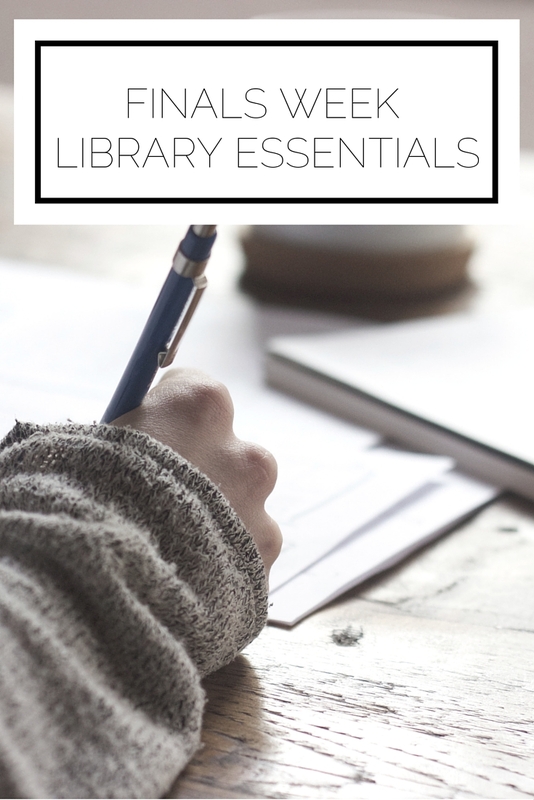 Do you have any library essentials? Best of luck to you all! Such a useful post! I tend to forget half of these things so it's a nice reminder!